As you know we have a Collection Box on the site that is one of the ways that helps keep "Olde Yoggie" online from month to month. Between the Collection Box and the fabulous support from Patrons we usually manage to get by. The contribution details scrolls over at the start of the new month, so I thought it would be nice to keep a more permanent record of who put a "few coins in the box" so to speak. Thanks again one and all for your support. It makes a very real difference in keeping the site going. for the contributions. Thank you! We've had some additional server bills recently and every penny as helped. While we missed our target for September, October is starting out well, and I know times remain tough. The donations remain ever more appreciated (if that is possible)! Many thanks for contributing! It's a big help, and even more so (if possible) with a forthcoming server upgrade - which I'm trying to wheeler-dealer to get a better server with little or no increase in overall cost! Thank you! Through all the support, we've made our way through another year as we head into 2010 and "olde Yoggie's" 13th year online (towards teenager territory?)! Thank you for contributing through a particularly difficult month for the site. Without its supporters, Yoggie would not have managed to come back. Thank you again for all for the contributions. Thank you! We're working hard on the next generation of Olde Yoggie and it really helps keep us going! Thank you, all! We've been investing in the next generation of "olde Yoggie", the first fruits of which you should be seeing soon. None of this could be done without everyone's generous help. Thank you! Thank you, everyone. Especially with our big site change-over last month (which we are still working on). We have a new Contribution system installed which seems to be working, and a new graphic, courtesy of the very talented Eric M. Smith (Who did our 10th Anniversary DVD cover). Thanks again to everyone for helping to keep us going. Hope everyone's having a good Summer! It's been a rather eventful month with its up & downs, and the continued support of Olde Yoggie is deeply appreciated. 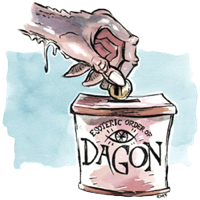 If I had known my money was going to the Esoteric Order of Dagon, I'd never have contributed! LOL! (the EOD thanks you). Thank you to our Yoggie Contributors for helping us reach September's goal. A big thank you to the following generous folks! Thank you, and I hope you're in a warmer part of the world than we are right now. Thank you again, one and all. Your generous support means Yoggie now heads towards becoming a teenager this year! 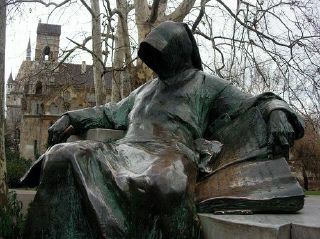 This helps see us into the start of 2011. The year "Olde Yoggie" becomes a teenager and Call of Cthulhu reaches 30.